As a creator of OER production tools and a producer of OER, increasing the flexibility of OER uses is a key concern for virtUOS. Lecture Recordings produced with the Opencast tool and disseminated via Learning Management Systems and other public channels have to be presented in a more individualized and thus attractive format to develop their full potential. As a consequence of increased attractiveness, more lecturers and institutions will agree to have their lectures recorded and published as OER. virtUOS is developing open-source automated lecture recording solutions as part of the Opencast community. Integrating better content analysis capabilities and interfaces to intelligent presentation and assessment tools will improve the quality of OER produced by more than 120 institutions that currently use Opencast. virtUOS’ and Opencast Matterhorn’s main competitors in terms of development of lecture recording and presenting tools are Echo360, Mediasite by Sonic Foundry and Kaltura. Within the Opencast Project, several universities (Harvard University, University of Manchester, University of Cape Town, University of Cologne, University of California Berkeley) and SME (Entwine, Teltek, NCast, 323link, Extron) are working on additional improvements. The competitive advantages that X5gon solutions would bring to virtuUOS over other monolingual or interlinking with well-resourced OER repositories or interlinking their own materials, would be an introduction and implementation of the X5gon services, especially the cross-lingual and learning analytics, over the Opencast – Open-Source Lecture Capture & Video Management for Education (http://opencast.org/matterhorn/) and thus multiplying the impact creation as software contributor in the community and cross-link the University-wide Lecture Recording Service at the University of Osnabrück. 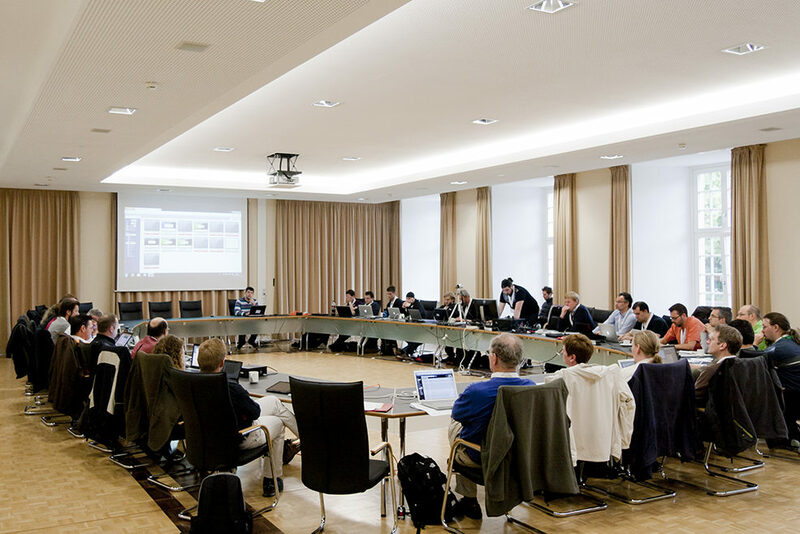 For the Osnabruck University similarly as to UPV, the X5gon project would allow to continue its innovation activities with MOOCs, Opencast Matterhorn penetration and research into pedagogical approaches and exploit its foreground from previous projects. In the learning managements system Stud.IP at the UOS are over 560,000 documents that are mostly presentation slides, lecture notes, protocols, lesson abstracts and summaries, assignments and sample solutions, by interlinking and enriching these materials new services for students could emerge and present student more “value for money”.